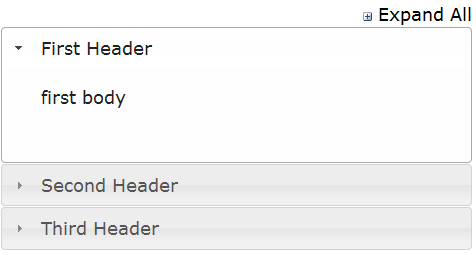 Today I was looking at http://youmightnotneedjquery.com/ and how that could apply to SharePoint UI elements. Check out the video and code samples below. Often we need to hide simple page elements and can leverage newer browser JS features for common features like selector and forEach. You Might Not Need JQuery – VIDEO from Jeff Jones on Vimeo. Form Library JS – an InfoPath replacement? Microsoft announced InfoPath will go away in 2023. It makes sense and they have good reasons. 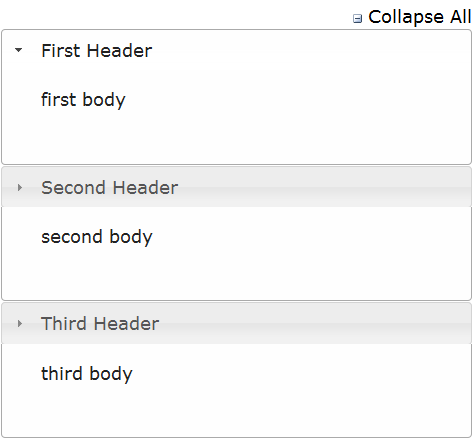 However, form developers are confused about available options. I have an idea for the InfoPath Roadmap and would appreciate your feedback in the comments below or Twitter (@spjeff) please. When people say “InfoPath” they generally are referring to a three part system outlined below. InfoPath strictly speaking is the form input experience. Form Library holds the saved XML output. SharePoint Designer can then trigger email notifications based on status change. 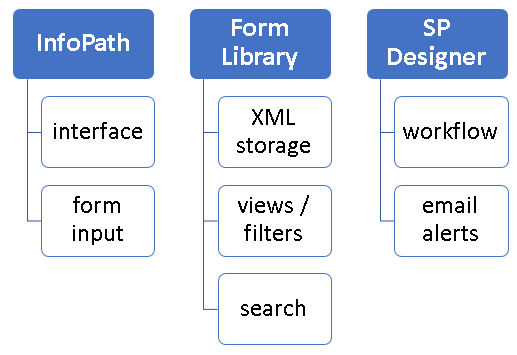 Can’t we make fantastic forms with HTML5/JS and then save back to a Form Library in order to leverage SharePoint for storage, views, and workflow? Right now this is just an idea. I don’t yet have a working prototype to show but think it would be straightforward to convert JSON to XML and upload. 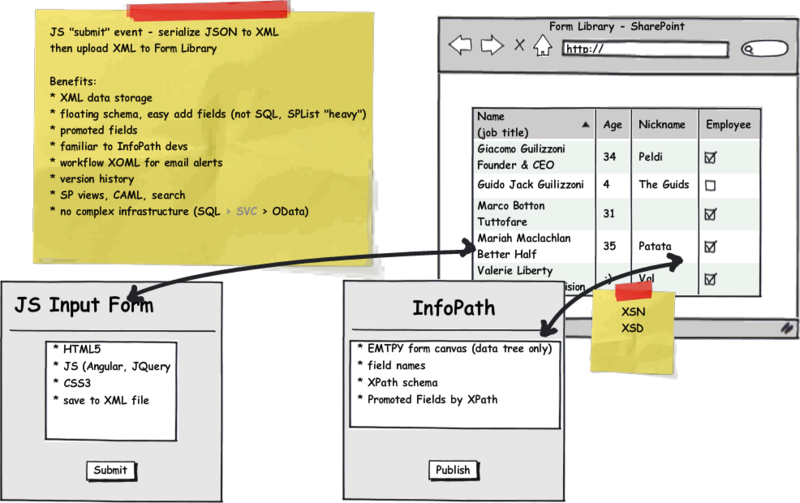 InfoPath would still be used but by developers for schema only (define XML structure). End users would never see it. Please leave a comment below and let me know if you think this might be practical. Thanks! 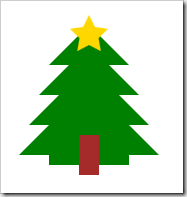 I wanted to thank all of you for reading my blog and wishing you a Happy Holiday season. 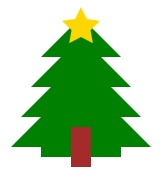 After passing exam 070-480 about HTML5, it seemed like a great time to practice new skills and draw a <CANVAS> based Christmas Tree here. Enjoy! I looked over many threads and posts on many sites and wasn’t able to find code that worked for me. Some of it would be close. Others buggy. Below I’ve outlined the JQuery code that worked perfectly for my needs and I hope you find it helpful too. This example was deployed to a SharePoint page so the “/_layouts/images/plus.gif” was used to leverage the OOTB graphics for a plus/minus icon feel.